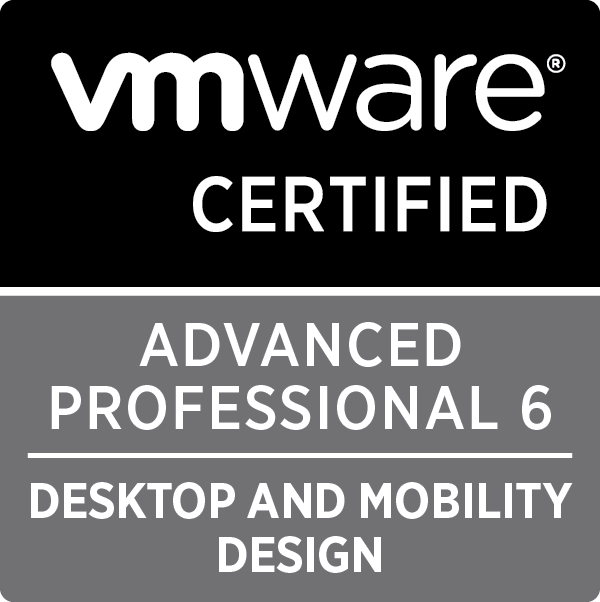 I just got back from sitting the beta of the VCAP6-DTM Design exam, so I thought I would give a bit of feedback for anyone thinking of doing it any point in the future. Obviously the caveat to this post is that the exam today was a beta (so still very much in development) and also that it’s still under NDA, so no real specifics, I’m afraid. The exam itself was 38 questions over 4 hours, although I completed it with about an hour to spare. I got the invite a couple of weeks ago and thought “why not?”. It’s only eighty quid, and you don’t often get the chance to sit a VCAP for that low fee. The design exam takes the form of drag and drop and the design canvas questions. 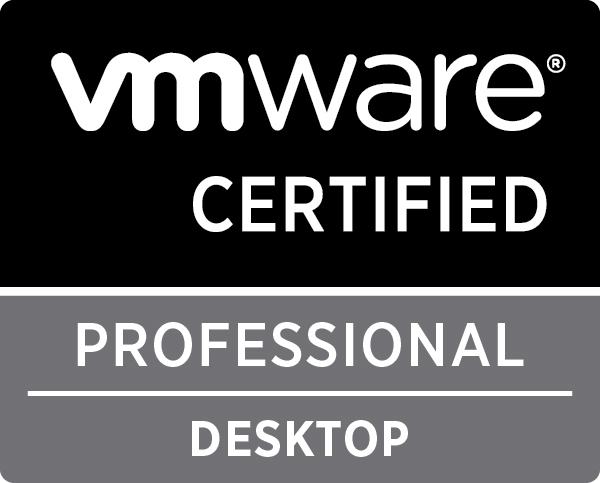 I kind of felt under no real pressure to deliver on this exam – I’m not currently doing much in the way of the VMware stack, so it was almost a bit of fun. I remember sitting the VCAP5-DTD (as was) and feeling a lot more time pressured and knowledge pressured, but I reckoned it up and it was over three years ago now! Time flies, and I’m certainly much more experienced, not just as an architect but also with View. I think in the released exam, you only get 6 design canvas questions, but in today’s beta I got a lot more than that! I can’t recall exactly how many, but there were at least a dozen, I’d say. I’m not sure if that was just a data gathering exercise or if that is the way the exam will go, but best to know your reference architectures if you’re planning to sit this exam later in the year. 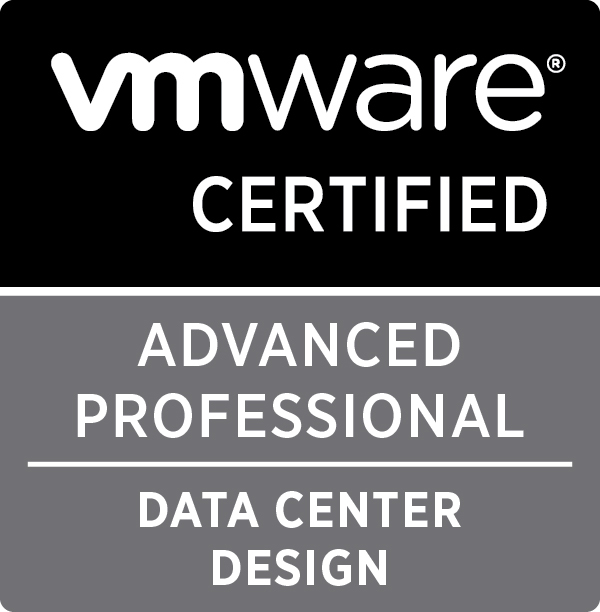 The exam also seemed to be much more in tune with the way the VCDX is done, in respect of assumptions, constraints and risks and also requirements. You also need to understand the differences between logical, conceptual and physical designs and also functional and non-functional requirements. 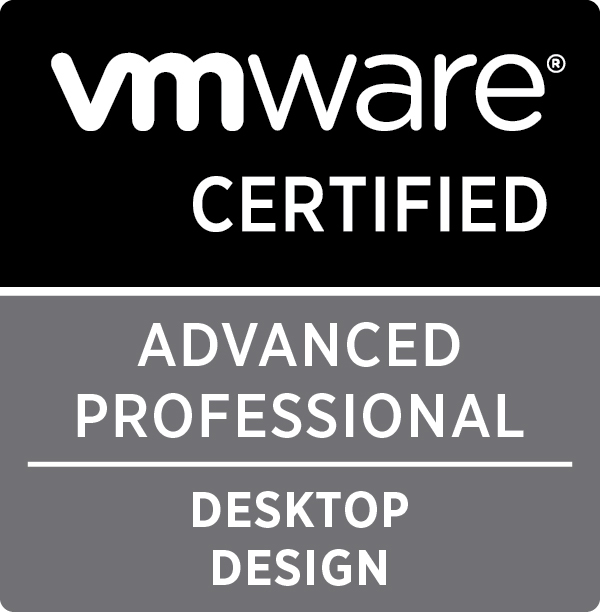 I think this exam will prepare you much better for a VCDX crack, I can’t honestly remember if the original VCAP5-DTD ran along those lines. I’ll be honest and state right now I’ve never touched AppVolumes or Mirage, less seen it in the field. I spent a chunk of time over the last couple of days looking at some of the linked documentation from the exam blueprint, such as reference architectures, use cases and also the product documentation. As it’s a design exam, it takes an architectural approach so you don’t need to know which vdmadmin command to run to perform a given task, for example. What you do need to know is what components do what, how they link with each other and what he dependencies are. It’s a lot more in depth than a VCP, but if you have spent any time in the field doing a requirements analysis and then a subsequent design and delivery, you should be fine. I didn’t take a lot of care with my answers in the sense that I didn’t really agonise over them. I did check them before I moved on, but as I said, I felt no pressure and I really just went with my gut instinct. In most cases, that’s usually the right way. In terms of non-View components, I’d say you need to know and understand the high level architectures of AppVolumes and Mirage. I can’t recall any questions on the Immidio product, so maybe that didn’t make the cut or maybe my question pool just didn’t contain any. Latterly though, I did get some questions that referred to the “traditional” Persona Management. Wouldn’t hurt to have a basic understanding of Immidio though (or whatever it’s called these days). There are a few questions where you need to count your fingers – there is no access in the exam to a calculator, which is a massive pain in the arse. 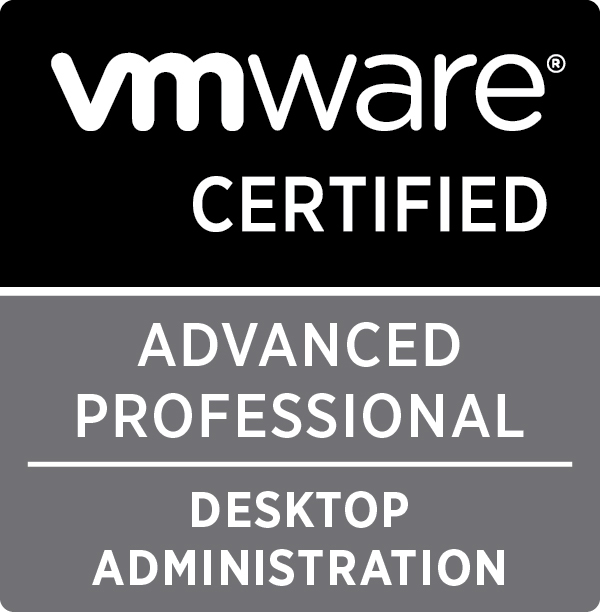 Microsoft exams always have it, not sure why VMware seem intent on exam candidates getting their fingers and toes out. Let’s be honest, you wouldn’t do that in the field, would you? I did comment back that a calc would be very handy for someone like me who is incredibly lazy when it comes to arithmetic! So to sum up, not massively different from the VCAP5-DTD I remember, with core View still very heavily tested. As I mentioned previously, make sure you have a good working knowledge of AppVolumes and Mirage in terms of the architecture and what the component roles are. Probably wouldn’t do any harm to understand and remember what ports are used in which scenarios, either. Configuration maximums too – you’ll need to know how many users a given component will support when designing a solution for a specific number of users. I won’t get the results now until 30th June or so (that’s what the beta exam page says, anyway), so we’ll see. Do I think I’ve passed? Who knows. 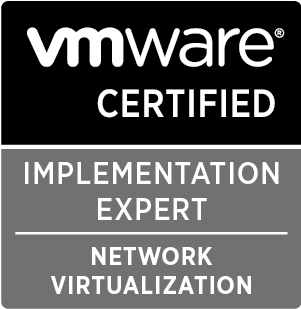 I’ve given up predicting things like that after I did the VCP-CMA beta thinking I’d done well, only to crash and burn. 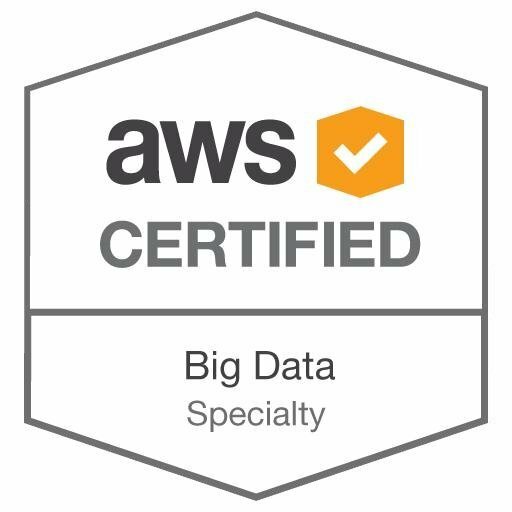 It has no massive effect on me anyway, as I’m currently 100% focused on AWS and Azure, but it would be nice to top up my collection of VCAPs further. As always, any questions, hit me up on Twitter but just don’t ask for any exam question content specifics. 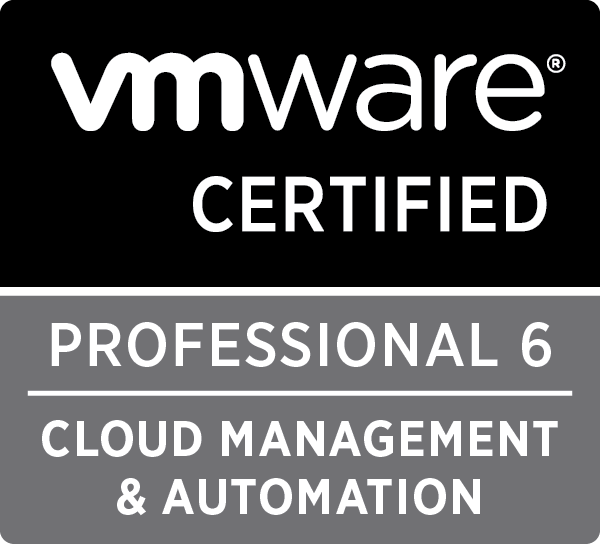 As I predicted in my last blog post, VMware have announced that starting at VMworld 2015 in August, it will be possible to schedule VCP6 exams such as VCP-DCV, VCP-DTM and VCP-CMA. Hopefully this will mean that my beta score for my CMA exam is not too far away now, it would be nice to get a full house of VCPs! Anyway, also as per my last blog post, I’m publishing section 5 of the study guide, which is as far as I got. Unless I fail the beta and have to resit, I don’t envisage me having the time to go back and complete the remaining sections. Hopefully it will be of some use to people planning on having a go at the CMA, any feedback is welcome via Twitter as always. Select Infrastructure > Endpoints > Credentials. Enter a name in the Name text box. (Optional) Enter a description in the Description text box. Type the username in the User name text box. Type the password in the Password text boxes. Select New Endpoint > Virtual > vSphere. This must match the endpoint name provided to the vSphere proxy agent during installation or data collection fails. Enter the URL for the vCenter Server instance in the Address text box. The URL must be of the type: https://hostname/sdk or https://IP_address/sdk. For example, https://vsphereA/sdk. Select the previously defined Credentials for the endpoint. If your system administrator configured the vSphere proxy agent to use integrated credentials, you can select the Integrated credentials. I’m assuming here that this refers to Orchestrator! Add a custom property VMware.VCenterOrchestrator.Priority and set it to 1. This is mandatory. A compute resource is an object that represents a host, host cluster, or pool in a virtualization platform, a virtual datacenter, or an Amazon region on which machines can be provisioned. An IaaS administrator can add compute resources to or remove compute resources from a fabric group. A compute resource can belong to more than one fabric group, including groups that different fabric administrators manage. An IaaS administrator can organize virtualization compute resources and cloud endpoints into fabric groups by type and intent. One or more fabric administrators manage the resources in each fabric group. Fabric administrators are responsible for creating reservations on the compute resources in their groups to allocate fabric to specific business groups. Fabric groups are created in a specific tenant, but their resources can be made available to users who belong to business groups in all tenants. vRealize Automation collects data from both infrastructure source endpoints and their compute resources. Data collection occurs at regular intervals. Each type of data collection has a default interval that you can override or modify. IaaS administrators can manually initiate data collection for infrastructure source endpoints and fabric administrators can manually initiate data collection for compute resources. To perform a manual data collection, Log in to the vRealize Automation console as an IaaS administrator. Point to the endpoint for which you want to run data collection and click Data Collection. (Optional) Click Refresh to receive an updated message about the status of the data collection you initiated. Before members of a business group can request machines, fabric administrators must allocate resources to them by creating a reservation. Each business group must have at least one reservation for its members to provision machines of that type. (Optional) Select an existing reservation from the Copy from existing reservation drop-down menu. Select a compute resource on which to provision machines from the Compute resource drop-down menu. Only templates located on the cluster you select are available for cloning with this reservation. The reservation name appears in the Name text box. Select a tenant from the Tenant drop-down menu. Select a business group from the Business group drop-down menu. (Optional) Select a reservation policy from the Reservation policy drop-down menu. (Optional) Type a number in the Machine quota text box to set the maximum number of machines that can be provisioned on this reservation. Only machines that are powered on are counted towards the quota. Leave blank to make the reservation unlimited. Type a number in the Priority text box to set the priority for the reservation. The priority is used when a business group has more than one reservation. A reservation with priority 1 is used for provisioning over a reservation with priority 2. (Optional) Deselect the Enable this reservation check box if you do not want this reservation active. A virtual reservation is a share of the memory, CPU, networking, and storage resources of one compute resource allocated to a particular business group. Each reservation is for one business group. A business group can have multiple reservations on a single compute resource. A business group can also have multiple reservations on compute resources of different types. A physical reservation is a set of physical machines reserved for and available to a particular business group for provisioning. A cloud reservation provides access to the provisioning services of a cloud service account for a particular business group. A group can have multiple reservations on one endpoint or reservations on multiple endpoints. A reservation may also define policies, priorities, and quotas that determine machine placement. The reservation must have the security groups specified in the machine request. The reservation must be associated with a region that has the machine image specified in the blueprint. For Amazon machines, the request specifies an availability zone and whether the machine is to be provisioned a subnet in a Virtual Private Cloud (VPC) or a in a non-VPC location. The reservation must match the network type (VPC or non-VPC). If the cloud provider supports network selection and the blueprint has specific network settings, the reservation must have the same networks. Reservation policies are a way to guarantee that the selected reservation satisfies any additional requirements for provisioning machines from a specific blueprint. For example, if a blueprint uses a specific machine image, you can use reservation policies to limit provisioning to reservations associated with the regions that have the required image. I started to publish a draft study guide a while back for the VCP-CMA beta exam, and never really finished it before I sat the exam itself. I have two more sections completed (out of ten, poor!) so I’m putting them out there for folks to reference. The exam itself is still in the beta process and has not been released to schedule, but I’m guessing they’ll be trying to get it ready for VMworld next month. I wrote a previous post about my beta exam experience, which you can read here but it may well not reflect the finished article (i.e the released exam). Anyway, on with Section 4 of the study guide. Business groups are managed on the Infrastructure tab but are used throughout the service catalog. Entitlements in the catalog are based on business groups. To request catalog items, a user must belong to at least one business group. A business group can have access to catalog items specific to that group and to catalog items that are shared between business groups in the same tenant. In IaaS, each business group has one or more reservations that determine on which compute resources the machines that this group requested can be provisioned. A business group must have at least one business group manager, who monitors the resource use for the group and often is an approver for catalog requests. In IaaS, group managers also create and manage machine blueprints for the groups they manage. Business groups can also contain support users, who can request and manage machines on behalf of other group members. Business group managers can also submit requests on behalf of their users. A user can be a member of more than one business group, and can have different roles in different groups. Manages one or more business groups. Typically a line manager or project manager. Business group managers manage catalog items and entitlements for their groups in the service catalog. They can request and manage items on behalf of users in their groups. They are also service architects in Infrastructure as a Service. Create and publish business group–specific machine blueprints from IaaS. Manage business group–specific catalog items and entitlements. A role in a business group. Support users can request and manage catalog items on behalf of other members of their groups. Request and manage items on behalf of other users within their business groups. You can add custom properties to a blueprint to specify attributes of a machine or to override default specifications. A machine owner, business group manager or fabric administrator can add, change, or delete custom properties for a provisioned machine. Custom properties can be added to Business Groups by editing the Business Group, scrolling to the bottom and clicking “New Property”. Add a name, value and whether or not you want to encrypt it (usually only used for passwords) and whether or not to prompt the user for a value (machine name, for example). The Windows guest agent records property values on the provisioned machine in the %SystemDrive %\VRMGuestAgent\site\workitem.xml file. Clear the Use default check box. Click Choose File to upload a logo image. Follow the prompts to finish creating the banner. Type the copyright information in the Copyright notice text box and press Enter to preview your selection. (Optional) Type the URL to your contact page in the Contact link text box and press Enter to preview your selection. Click Update. The console is updated with your changes. Tenant administrators can add an outbound email server to send notifications for completing work items, such as approvals. Select Email – Inbound, fill out the form as needed. To override these settings at tenant level, Select Administration > Notifications > Email Servers. Select the Outbound/Inbound email server. If the system administrator has configured a system default outbound/inbound email server, tenant administrators can override this global setting. vRA uses the concept of Identity Stores to perform authentication of users and leverage existing users and groups to assign to roles. Enter the URL for the identity store. For example, ldap://10.141.64.166:389 (636 for LDAPS). Enter the password for the identity store login user. Enter the group search base Distinguished Name. For example, ou=demo,dc=dev,dc=mycompany,dc=com. Enter the user search base Distinguished Name. Select Administration > Users & Groups > Identity Store Users & Groups. Enter a user or group name in the Search box and press Enter. (Do not use an at sign (@), backslash (\), or slash (/) in a name). You can optimize your search by typing the entire user or group name in the form user@domain. Click the name of the user or group to whom you want to assign roles. Select one or more roles from the Add Roles to this User list. Users who are currently logged in to the vRealize Automation console must log out and log back into the vRealize Automation console before they can navigate to the pages to which they have been granted access. Much to my surprise, I bought “Networking for VMware Administrators” back in April 2014 and it has been on my “to do” list to read it since then. Regular readers will know of my recent scrapes and japes with NSX, including passing the VCP-NV exam so there was a nice dovetail with what I’ve been learning in this area and this book. For those familiar with the VMware curcuit, Chris Wahl is a well known presenter and author and amongst other things regularly appears at VMworld and records Pluralsight videos, which I always like to use as a jump start to anything new I learn. 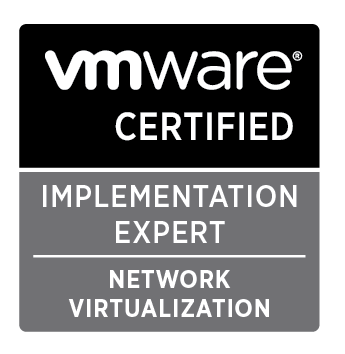 As I’m not a networking guy, I thought I would try and start at the bottom, get a refresher on basic concepts and then move it forward to how that applies in the vSphere world. Steve Pantol is a new name to me, but the two seem to have a nice flow to how they write. This book certainly hits the mark where that is concerned. Starting off very simply, the basic concepts of how networking evolved from the simplest idea to be where it is now takes you from the first rung on the ladder and conceptualises each new addition to networking designs, such as hubs, repeaters and switches. This then moves along to things such as VLANs and broadcast domains. Physical networking is covered at a decent level of detail, taking into account the OSI model, and subtle but important differences between layers 2, 3 and above. I found the authors’ easy and humorous style of delivery very easy to follow and not feeling like a dry subject being rammed down your throat. Networking isn’t necessarily the most intriguing subject you’ll ever cover, but we’d be nothing without it’s essential plumbing to get us connected. I read the book in three sittings, which is pretty good for me, as I’ve got the attention span of a gnat. 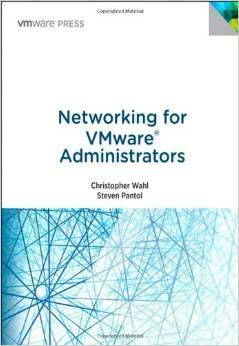 Part II of the book concentrates on virtual networking and switching, moving the focus towards vSphere and it’s networking options. Obviously this falls into two camps – standard and distributed vSwitches. There is also some content on Nexus V1000 switches, but I pretty much skipped that as I’ve never seen it and currently don’t really care about it. That being said, it’s good to know the section is there for me to refer back to if need be. One aspect I really liked about the book overall was how choices and requirements fed into the design of the networking infrastructure, both from a physical and virtual viewpoint. Chris is a dual VCDX and it’s useful to get inside of his head and understand how to translate these sorts of issues and choices into an overall design. Especially useful if I ever get my finger out and actually submit a VCDX design! Part III covers storage traffic on the network, namely iSCSI and NFS. I was a little surprised to see this type of content in the book, but enjoyed reading about it none the less. I suppose storage traffic falls into the cracks a little bit as it’s not “pure” VM networking, but it’s just as essential to get this part right when designing an overall solution. Bad storage == bad performance! Again, a good emphasis on design constraints, assumptions and choices is put into this section, giving you a good steer on what should be considered when using storage protocols over the physical network (items such as dedicated, non routed VLANs, for example). One good tip I picked up was how to configure NFS to give you more NICs by using multiple exports on the NFS server and establishing separate links. As with all other sections, single points of failure are discussed and mitigated with different design choices. Another good titbit I picked up was using traffic shaping to throttle vMotion traffic on 10Gbps Ethernet – I’d never before actually come across a good use case for traffic shaping, I’d assumed NIOC was always the way to go. Finally section IV covers off all other “miscellaneous” networking concerns for your design and/or environment, this includes vMotion as discussed above and how to design around multiple NICs and/or connections, exploding a few myths along the way. At 368 pages, it’s not War and Peace but also it’s not a 100 page pamphlet that skims over the important details. Like I said, I read it in around three chunks over a couple of days without it feeling like a chore. I think for anyone pursuing the VCDX route, this book is an absolute must. Not only does it help crystallise some concepts around physical and virtual networking, but there is excellent detail on how to consider your networking design and how to justify particular design decisions. NSX is out of the scope of this book, but is such a huge topic in and of itself that I’m sure we’ll see a release on this in the not too distant future. This is a book that helps you understand networking from the ground up and how this relates to a virtual world. 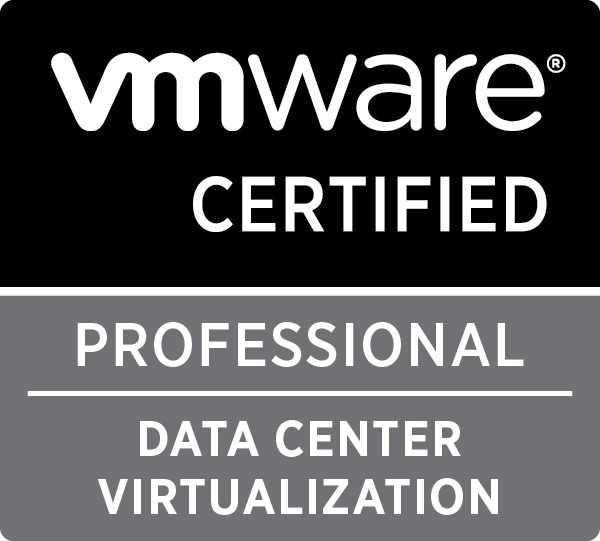 Remember if you have a VCP certification, you can buy this book from VMware Press with a 30% discount using the code you can obtain from the VCP portal. I also believe Chris donates all book profits to charity, so yet another excellent reason to add this to your collection. Other good stockists are also available!